Telemedicine is emerging as one of the features of new models for expanding access to health care, as well as continuing the more traditional role of allowing flexibility in hospital physician coverage arrangements. 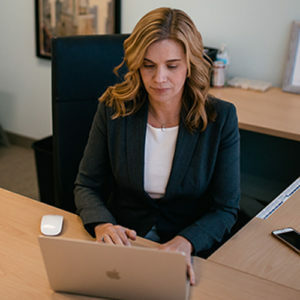 Whether for a hospital seeking advice on credentialing and liability issues for remote site providers, a practitioner considering entering a telemedicine contract and needing licensing advice, or a practice group considering offering telemedicine services in multiple states, legal and compliance issues are central to a successful venture. Hospital governing boards and medical staffs looking to telemedicine to provide services must evaluate the operational and legal environment carefully. In many hospitals, existing medical staff bylaws do not adequately address the issues raised by including telemedicine providers as members of the medical staff. Crucial questions such as medical staff category, clinical privileges, peer review, and performance improvement cannot be handled in the same way as for regular local members of the medical staff. We can assist hospitals in considering those issues. State laws vary regarding licensure of the telemedicine provider, with some requiring licenses in both the originating and distant sites, and others requiring licensing only in the distant site. States also vary in the extent to which face-to-face encounters are required for prescriptive services. We have experience working with these issues in states throughout the western United States. With the advent of remote technologies and the emergence of remote providers with primary responsibility for procedures and treatment recommendations, the disclosures and procedures necessary for informed consent become more complex. We provide advice and counsel regarding the legal and ethical dimensions of informed consent in the telemedicine environment. The use of remote technologies to send protected health information requires careful adherence to the rules for the privacy and security of health information. The intersection of digital health and cyber security create special issues in telemedicine settings, and we offer help navigating these complex technical and regulatory ventures.